Music composer Thaman is a very busy man. 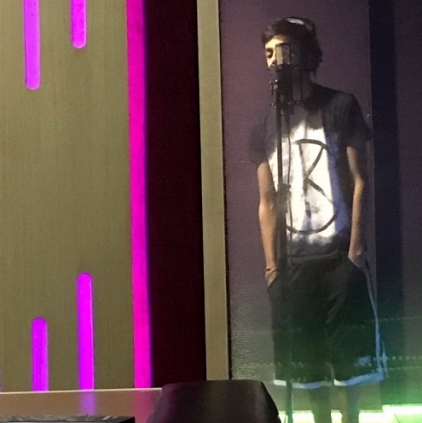 He recently tweeted, “Something carzzyyyyyyy happening with buddy @anirudhofficial coming with official tweet”, with an image of Anirudh singing. Although the details are not spelt, we feel this could be for Thaman’s upcoming film Shivalinga which is being directed by P Vasu. The audio launch is expected to happen in the month of January 2017. Shivalinga is the Tamil remake of the Kannada hit film of the same name. The Tamil version will feature Raghava Lawrence and Ritika Singh in leads supported by Bhanupriya, Oorvasi, Vadivelu and others. The most awaited Bairavaa tracklist is here! People looking for online information on Anirudh, Shivalinga, Thaman will find this news story useful.